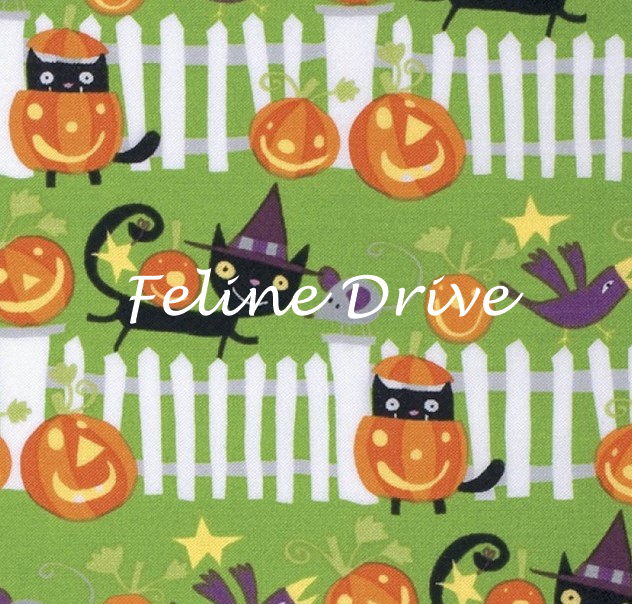 Designed by David Walker for Free Spirit, this fabric features happy black cats and pumpkins along a white picket fence. Green background. 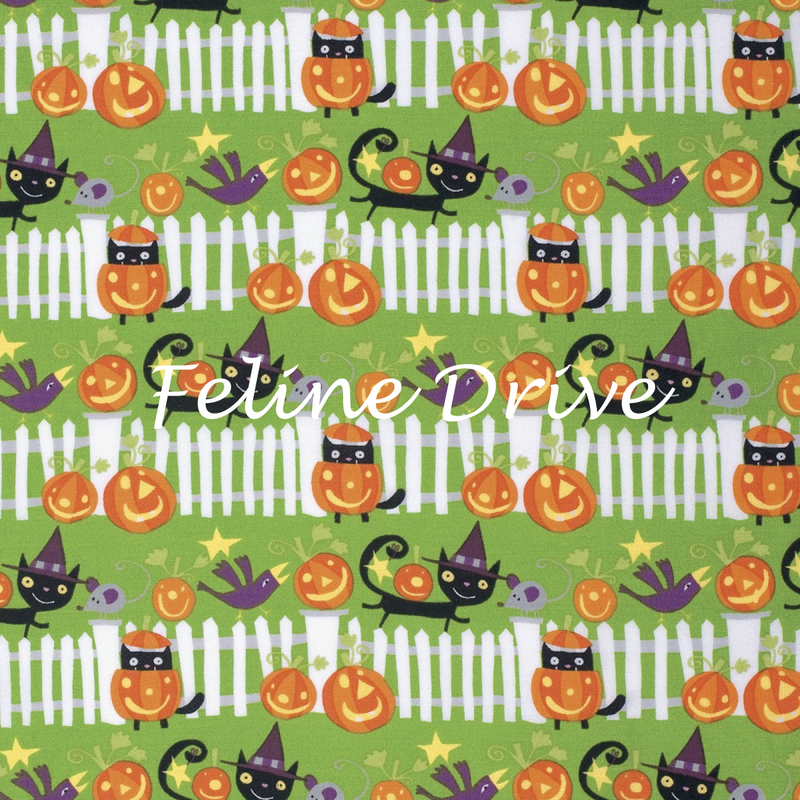 Print Size:Picket fence is approximately 1.5" tall. Minimum Cut is 1/2 Yard. Enter 0.50 for 1/2 yd, Enter 0.75 for 3/4 yd, Enter 1.00 for 1 yd, and so on.